Throughout much of the Roosevelt Thirties, Washington's most-savvy political-insider, James A. Farley (1888 – 1976), was a busy bee indeed. Not only had he played that vital roll as FDR's go-to-guy in all matters involving Capitol Hill politics, but he also faithfully fulfilled his appointed positions as the Chairman of the Democratic National Committee and Postmaster General. 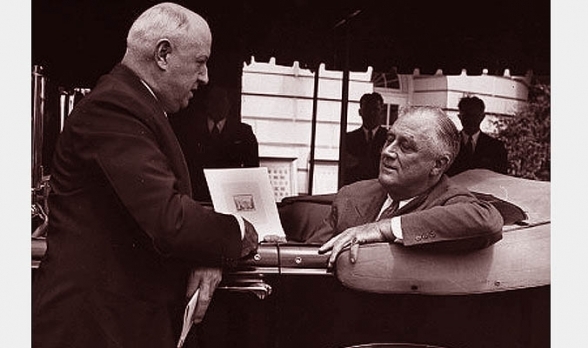 Farley wrote the attached COLLIER'S MAGAZINE article two years after FDR's death in order to explain how Roosevelt's Court-packing scheme was received in Congress and how his relationship with FDR soon went south. Click here to read more articles about FDR and the packing of the Supreme Court.